Ever since Google developed a self-driving car, the company has worked toward creating a vehicle that is considerably safer than human-driven cars. According to the newest information released, Google is definitely on the right path. 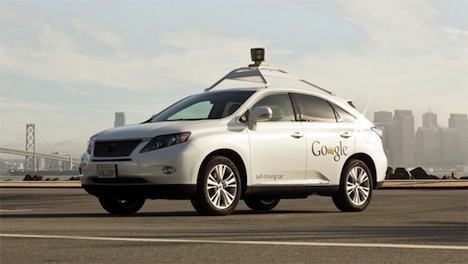 Google’s self-driving cars now have a total of 300,000 miles under the hood, and according to a company announcement, “there hasn’t been a single accident under computer control.” This doesn’t include the one time a car was rear-ended in San Francisco because ironically, the self-driving car was under the operation of a human. Obviously the numbers of human operated accidents and self-driving accidents cannot be accurately compared just yet. Google’s cars have undergone pretty mild conditions, and for example, have yet to experience a harsh winter in the midwest (although they might not have to if temperatures keep skyrocketing). Engineers are still working on how the car will handle snowy roads, construction signals, and other tricky situations. Plus, the cars still have “occasional” human control. Regardless, the solid driving record is something worth acknowledging. There are still a lot of decisions to be made, particularly on how well these cars have to perform before they’re let loose on the streets and will meet legal and ethical standards. What I’m wondering is: who has to pay the traffic tickets? Previous post: Ethical Living: How Can I Become More Self-Sufficient?